Our zinc top dining table with coloured legs combines a wonderful grey zinc surface with strong metal legs. Substantial zinc table on oak frame offering seating for 10, also in other sizes. Modern form, zinc top table, powder-coated legs. Furniture is heavily associated with wood as the main construction material. However, the part that the user gets to experience most is usually the surface. Besides more common choices for offices and homes, a zinc top table is often chosen for its tactile as well as aesthetic qualities. A silver-grey colour metal, zinc develops further character over time, as a witness to its use. This is known as a patina and is a characteristic that some people love and some people are not so keen on. Even after the application of oils and waxes, everyday food and drink will cause marks which go on to be a part of the "story" of the piece. The mellow, relaxed look of this metal can to some extent be reproduced by laminates. This solution avoids the potential problem of marking. If you are working on a project or space and would like a similar look but with a non-marking, durable top then this might be the route to go. That said, this metal can be left to do its own thing and is in effect also easy to live with. 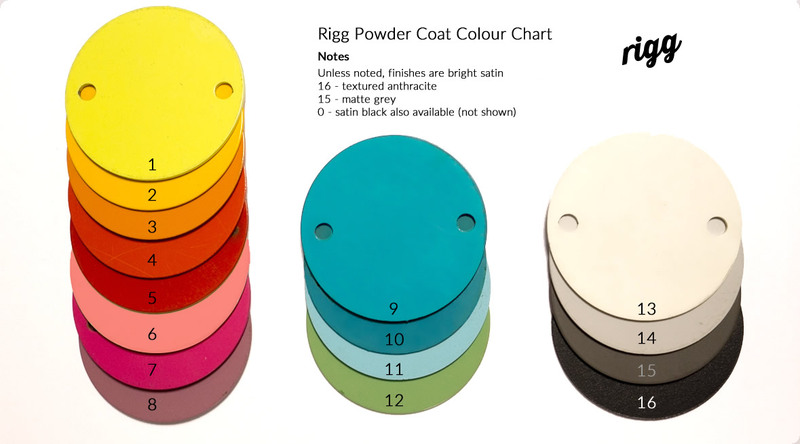 In addition to clear lacquered steel (dark grey), powder coated colours can also be supplied in contemporary and traditional hues. Whilst we can supply with fully wrapped edges, a popular style is now to have real wood or birch plywood around the perimeter. This hint of timber adds extra character to the piece. A large table can look really great with an extra thick style shown here. A simple clear lacquer coat ephasises the laminations. The slimmer version above has a dark stained edge. This is general information as a guide only. Please don't take action before taking further advice. Can a lacquer or varnish be applied? Theoretically, yes this could be done. However we have found that such treatments can chip off leaving a messy, patchy result. Hence we do not offer our products with this. Is it possible to refurbish the surface? To a certain extent the surface can be sanded back, revealing fresh metal. This will often remove most of the marking except deep, persistant stains and corrosion. Please remember that this will usually result in quite a bright surface and character can be lost. Oxidization will occur over time making the zinc once again darker. Do we offer a repair service for other makes of table? We don't offer this, sorry.